L-R Ludilyn Alvasan , John Karby Calucin, Mark Jethro Novio, Arjay Targa, Julie Cox, Danilo De Luna, Joan Kathleen Brizuela, Donald Villamarzo. QPHCI or Quezon Provincial Heritage Council Incorporated conducted their semi annual meeting to lay out its cultural activities and targets for 2019 starting from March to December. Proposal for the regular quarterly meeting was also raised as well as the technical working group status updates for the “Gawad Pamana ng Lalawigan”. President Danny Maffiote De Luna from Sariaya Heritage Council organized and led the event together with the officers and local cultural advocates at Camp Maligaya Julie Cox Mission Center, San Antonio Quezon. The activity aimed to promote local cultural programs, projects and activities, strengthen cultural orientation and participation of the junior and senior high school students and establish non-profit cultural organizations for the Quezon municipalities. Julie Cox, Vice president of QPCHI from San Antonio, Quezon pointed the importance of planning as well the involvement of the students in promoting culture and tradition. 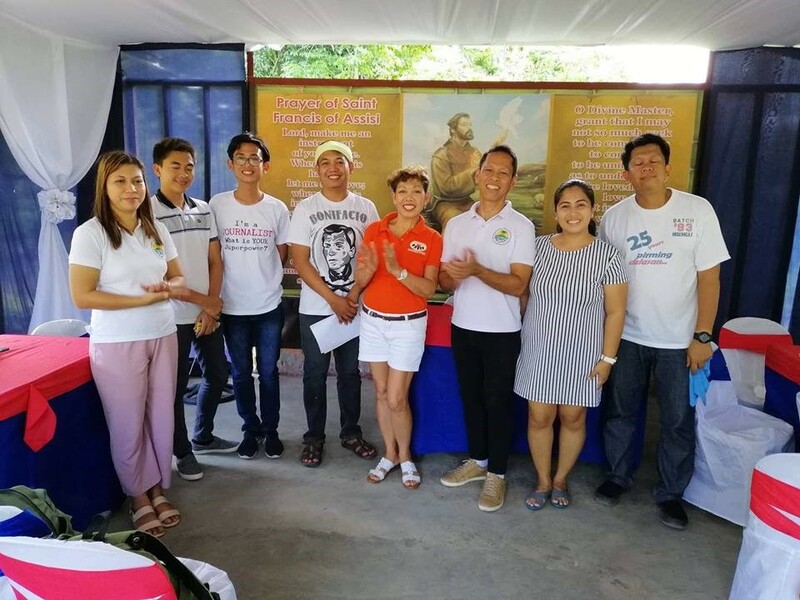 Mauban Youth Heritage Advocates or MYHA headed by adviser and consultant Donald Villamarzo were applauded for their concrete plans and accomplishments. Several of these includes Ramahan or wild flower arrangements, Coffee Table Book publishing and Newsletter issuance. The group also showcased their talents through the singing of their version of pasyon and pangangaluluwa. QPHCI Atimonan members; Ludilyn Alvasan, Teacher from Cotta NHS and Graduate Diploma in Cultural Education Scholar; Christian Cervantes, Teacher from Atimonan Comprehensive High School and Albert Cervantes, a student of SACLI aspire to benchmark the same activities through a joint youth camp with MYHA which will be sponsored by Julie Cox. In addition, Calaug represented by Arjay Targa, Teacher and member of research organization, presented the prospect activities for Quezon and Linggo ng Wika celebrations highlighting “Gawad Pamana ng Lalawigan” to recognize Quezonians who are advocates of the national and provincial culture and heritage. The event ended with the concrete plans for the group this coming 2019. Respective committee chairmanship and membership for the activities were also agreed upon. Another meeting for the youth camp and status reporting of the cultural activities will be done next month.